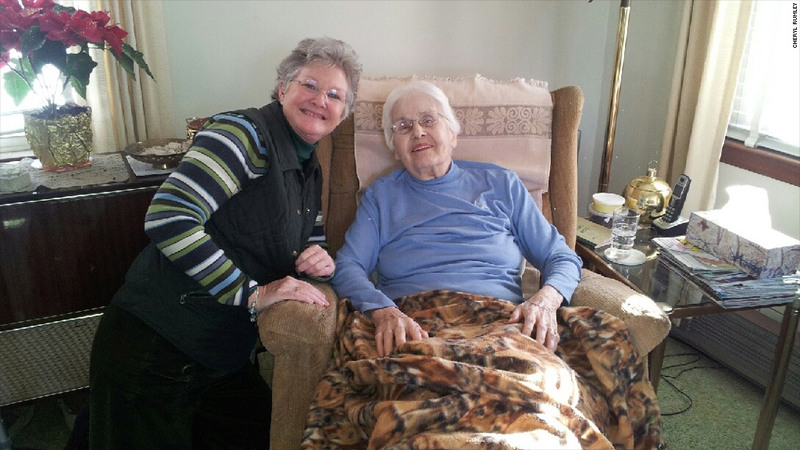 Cheryl Rumley, with 94-year-old client Elaine Kowalczyk, says her home health care business has been losing two employees a day to the flu. With the Detroit auto show kicking off next week, salon owner George Nikollaj can't afford to let the flu knock out even one of his 50 stylists. "Next to the holidays, the auto show gives us a ton of business every year, " said Nikollaj. America's biggest auto show typically boosts his quarterly revenue by an additional 20%. But Nikollaj, who co-owns 6 Salon, two Detroit-area high-end salons that cater to about 250 customers daily, is worried. The situation is a double-whammy for his business. "In the last two weeks I've had six stylists sick with the flu. And we had a dozen cancellations last Saturday from customers feeling sick," he said. When a stylist is out sick, it can mean canceling 15 to 20 appointments already booked for the day, he said. And when customers cancel, he can't easily fill those slots "because clients are very loyal to their stylists." He's encouraged his staff -- most of whom have health insurance -- to get the flu shot. His other advice: "Instead of a handshake, I'm telling my staff to greet customers with a great smile." The Centers for Disease Control and Prevention is warning of a severe flu outbreak, and small businesses are on edge. The CDC's most recent advisory says that 47 states have widespread influenza activity. In one of those states, Massachusetts, Boston Mayor Thomas Menino declared a flu-related city public health emergency on Wednesday. Georgianna Parkin, director of the Massachusetts Small Business Development Center Network, said small businesses are particularly vulnerable in a public health crisis. "In Massachusetts, 96% of companies are small businesses. Many have under 20 employees," she said. "If two or more workers are sick, it can disrupt the business and the supply chain." And when big cities issue health alerts, it can discourage residents from going out to restaurants, stores and movie theaters for fear of becoming sick, too. "That's another hit on small businesses," she said. Cheryl Rumley owns Springfield, Mass.-based Apex Healthcare Services. Her small business, which employs 60 full-time and part-time workers, provides home health services to about 300 elderly and disabled patients in western Massachusetts. Rumley got sick two weeks before Christmas. Since then, she said she's been "losing two employees a day" to the flu. "The last time we experienced this was in 2009 with the H1N1 flu. But the situation with this flu is much worse," she said. Rumley provides paid leave for her workers after they've been there a year. Some workers come in sick anyway. "We tell them to go home. We can't let our elderly clients get sick," she said. Neither can she leave those clients hanging. So she hires temporary workers and pays them one and a half times her usual rate, which hurts her bottom line. It's imperative that sick workers stay home to recover from the flu, said Dr. Scott Burger, and emergency room physician and founder of Doctors Express, an urgent care franchise with 60 locations nationwide. "The flu spreads easily. The risk in the workplace is that we can touch a sick person's computer, phone or even transmit the flu just by passing a folder," he said. Says Rumley: "My biggest fear is that the flu lingers into April." Is your business suffering because of the flu outbreak? Or have you experienced problems at your job due to limited paid sick leave? Email Parija Kavilanz and you could be featured in an upcoming article on CNNMoney.